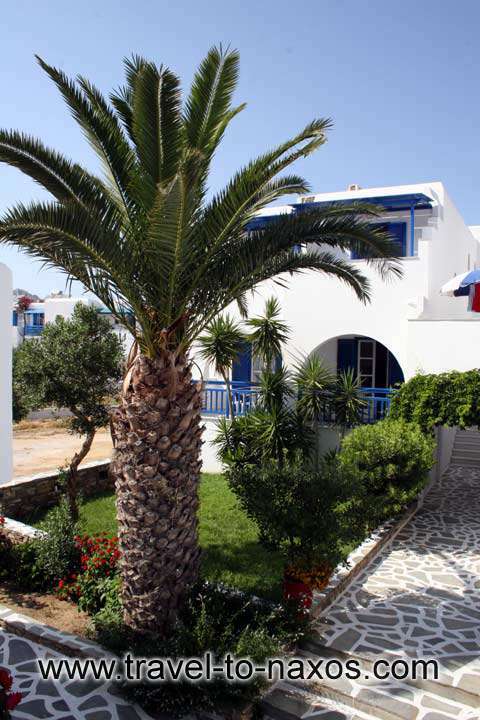 If you are seeking for some serenity and tranquility during you vacation, Hotel KATERINA is the place for you. 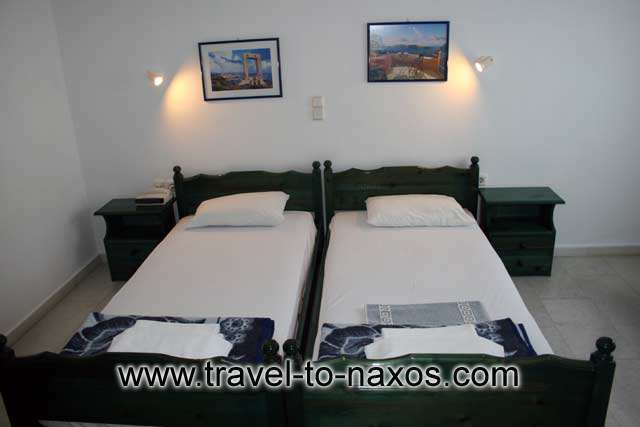 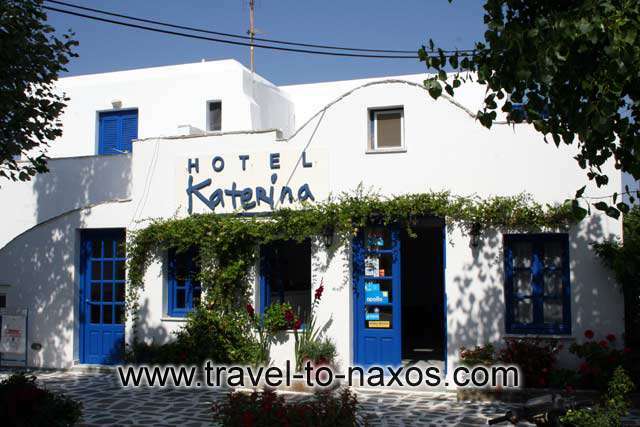 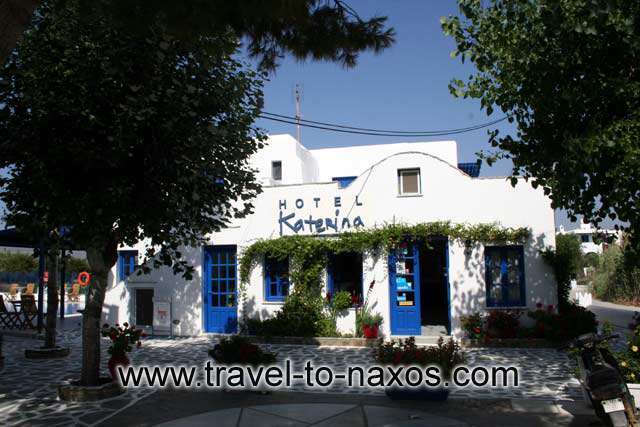 It is situated in an ideal location, a few meters from the beach of Agios Prokopios and in a close distance to Naxos airport. 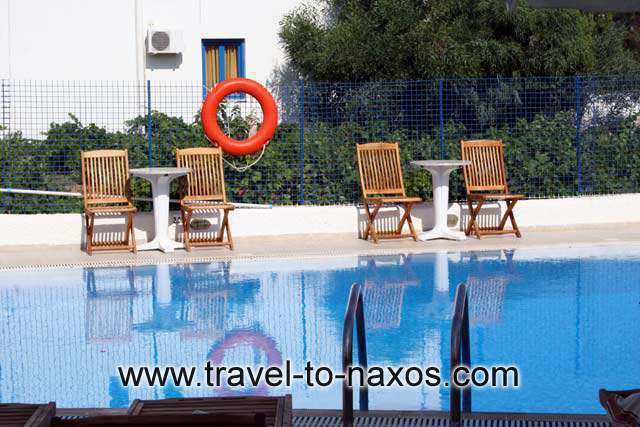 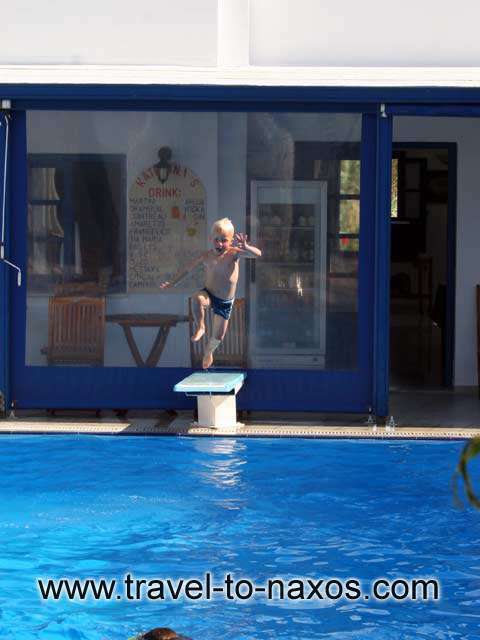 This C� class hotel extends around the pool offering magnificent view of the Aegean sea. 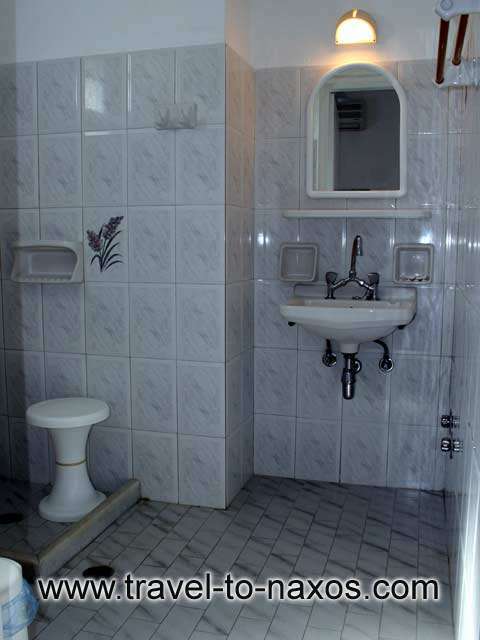 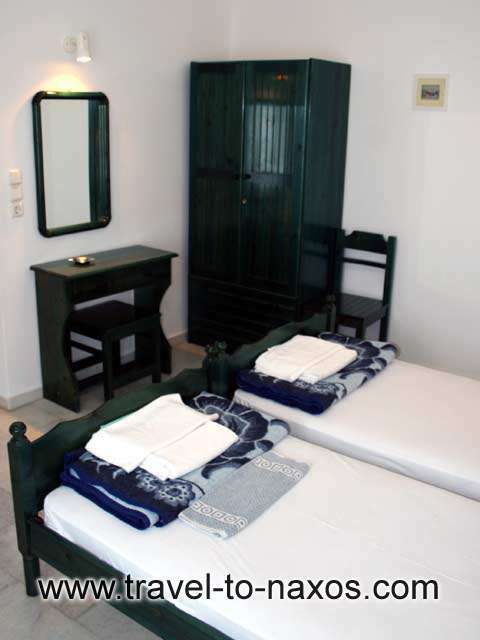 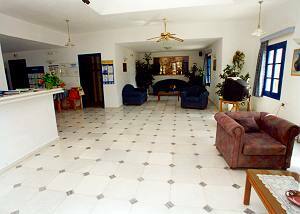 The rooms are spacious, very well taken care of and equipped with all the necessary facilities for a comfortable stay. 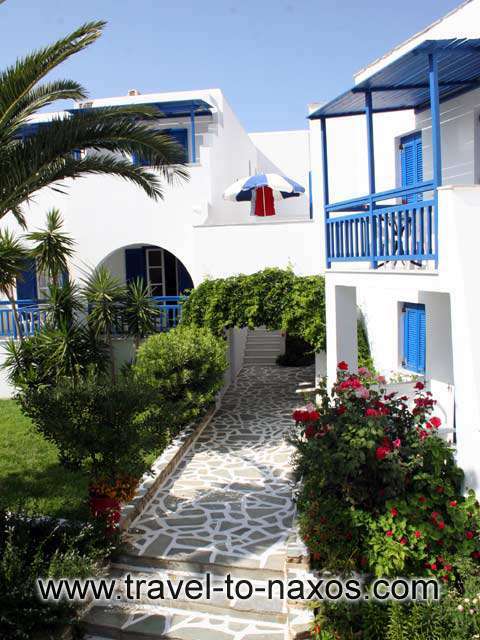 They all have A/C, mini fridge, satellite TV, music and balcony or veranda. 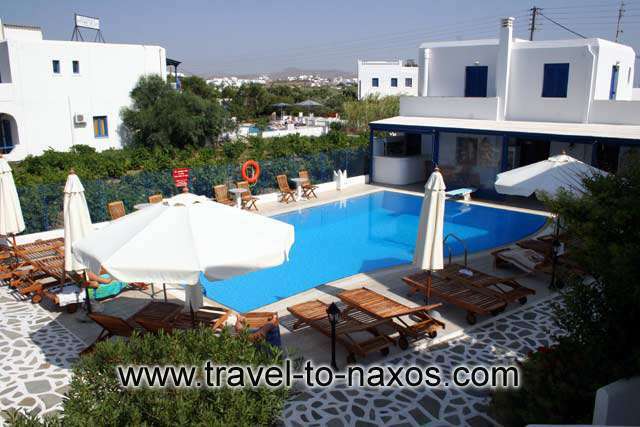 The guests can sit around the pool and enjoy the sun amongst the verdurous gardens.